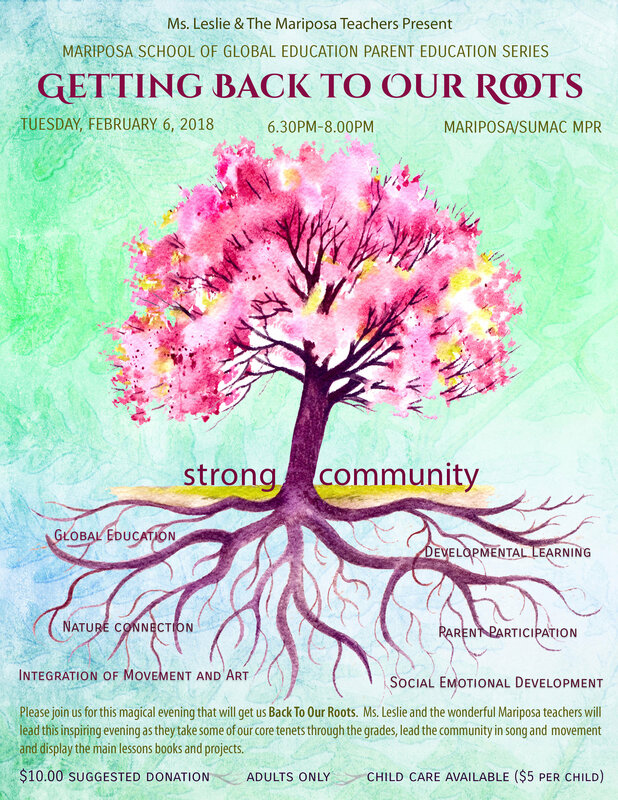 On Tuesday, February 6 form 6:30-8 Mariposa will present a very special Parent Ed Night: "Getting Back to Our Roots." You won't want to miss it! Due to popular demand, childcare will be provided for $5 per child. If you plan on taking advantage of childcare for this event, please sign up below so that we can plan. Thanks and we hope to see you all there! Click here to view the Parent Ed flyer.